Joe Von Arx - Minn. 794 - Mary and Joe Von Arx farm, La Crescent, MN. Project 3, 8/5/38. Joe on the binder, as he harvests oats on a strip. 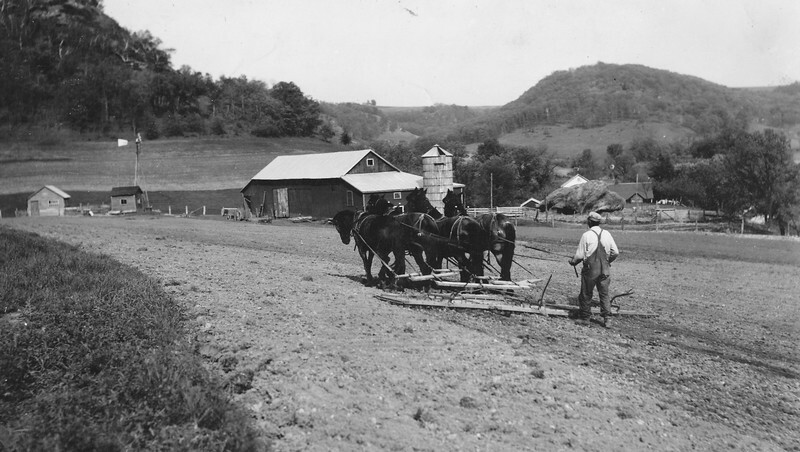 The strip croping of a neighbor, Ed Albrecht, is visible in the background.